Our 12 Cu Ft Stackable Glass Fibre Composite Grit Bin is the toughest available and is manufactured with a lightweight core, encapsulated in high-impact strength, glass fibre composite. 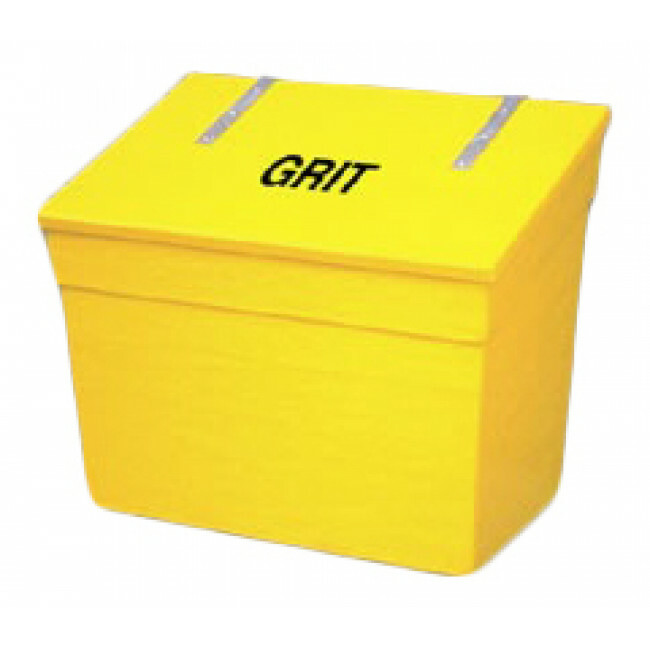 This heavy duty grit bin is a favourite among councils and local authorities due it being extremely tough, hard-wearing and aesthetically pleasing. It is designed to be unaffected by extreme weather, allowing it to be left in situ year-round. This bin is often located in residential areas, schools, car parks and by the roadside. Manufactured to be interstacklable, this bin is ideal for storing in the summer months when not in use. It is also available with an optional hasp and staple for added security (padlock not included). With a capacity of 336 litres (336kg), this bin is available in a choice of three colours: yellow, black or green, all with a smooth finish. 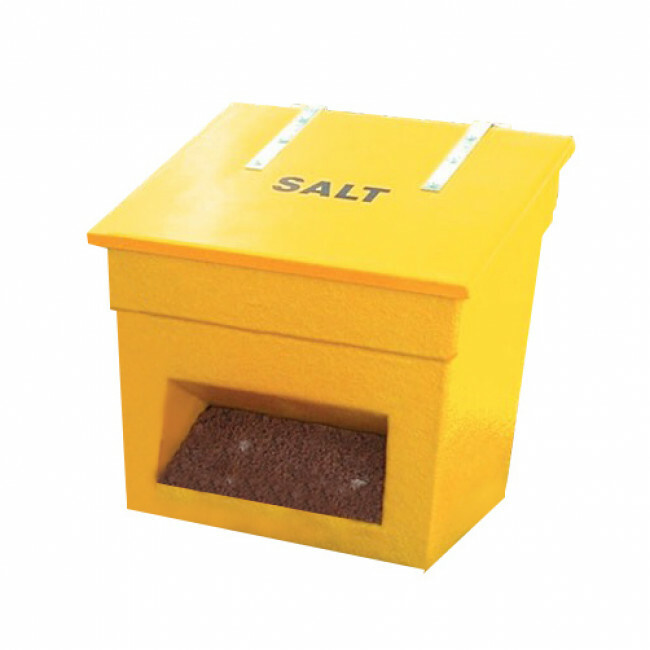 This range of bin features a hinged lid that allows for easy access to the rock salt but we offer an additional option of having an open or closed front.